BEFORE this backup show does its thing, Stoo hijacks the feed to talk of his yearly charity endevour Extra Life 2012 for The Royal Hospital For Sick Children and the looming 24 hour game marathon that goes along with it. You can support him by going to his profile page and listen in to hear how YOUR donations will affect the upcoming Podcast On Fire Network shows! 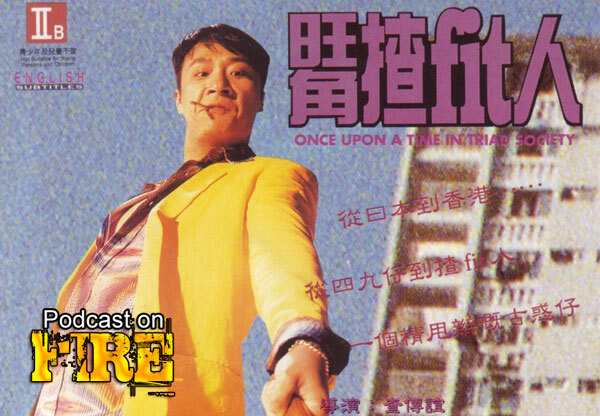 Ken did a written top 10 list for A Hero Never Dies, now he talks of the choices not yet covered on the show (see show links for more), starting with his #6: Cha Chuen-yee’s Once Upon A Time In Triad Society. The triad genre gets a much needed wake up call and kick in the nuts as it’s only fun if you’re as evil as Ugly Kwan.